Fun Pictures Online can help you capture your customers as they enjoy a wild whitewater rafting trip with your company. There are some moments that only you can capture showing your customer in a way that they can not caputure themselves. By capturing their pictures and displaying them on your web site, for your customers and all their friends to view, you will boost your web site visits and add potential new clients to your client list. 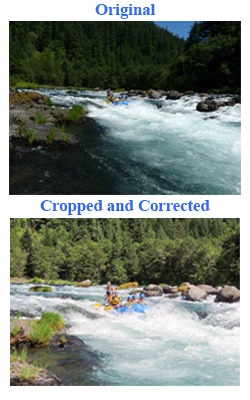 Whitewater Rafting Photography may not always create the perfect picture at that special moment but Fun Pictures Online will crop and color correct all your pictures before they are displayed online. Fun Pictures Online can also arrange your photo display by rivers, tours, dates or times. This will provide your customer an easy way to find and purchase their photographs. Web traffic and E-Mails are the present and future for advertising your business. Partnering with Fun Pictures Online can provide this with little cost or effort. We like to say, "Shoot It, Upload It and Forget It, We Do the Rest!" Visit one of our Whitewater Rafting Companies, Oregon River Experiences and see a how partnering with Fun Pictures Online can benefit your company.